This morning, the air was so still. It was still a little overcast but nice. Was riding once more at sunrise. Started to see more and more farms. 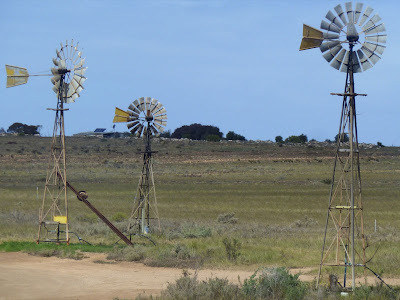 Then there were sheep and windmills (used to get the water from the ground). 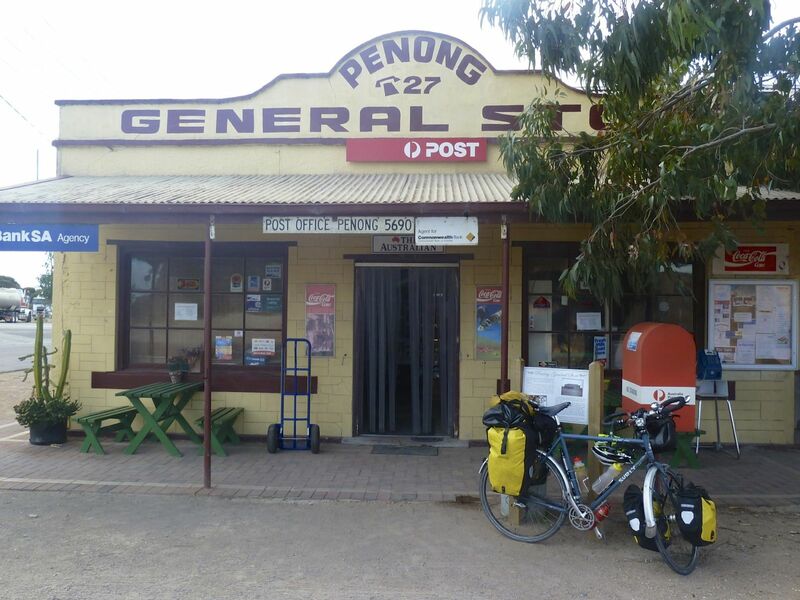 About 80kms I arrived at Penong. My first town for over 1100kms. It is a very small farming town with a general store, pub and servo. So I stopped here for a little while for lunch. Whilst enjoying lunch I started to feel the wind on my back. I might have a tailwind to Ceduna. Fingers crossed. I sure did have a tailwind pushing me along to Ceduna. Thanks to the assistance of the wind I got to Ceduna at about 3.30pm. Just before you enter town you go pass the Oyster Bar. 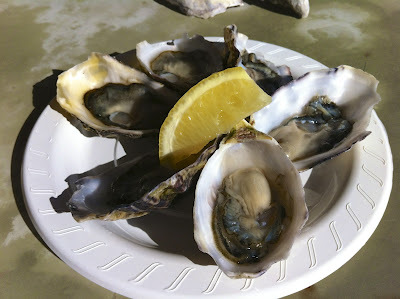 So to celebrate getting across the Nullarbor I enjoyed 1/2 dozen fresh oysters. So yummy. I'm staying at the caravan park about 100m from town. Took a little while to get to my campsite, as a lot of the grey nomads which have passed me want to say hi and shake my hand. So not used to this sort of attention. 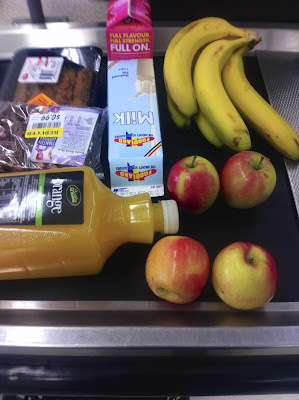 Once I was all setup I went to the supermarket. So many things to choose from. I was there for a while deciding what to get. It certianly isn't beef burgers! I then relaxed near the jetty. Enjoying the view and thinking about what I have just done. I had such a great time crossing the Nullarbor. It was great being so far from anything. Enjoying the peacefulness during the day and night. The scenery certainly was a lot more varied than I had expected. The road train drivers were great as well. Generally always trying to give me as much space as possible , whilst I would also try and be as far to the left as well. As they are sometimes bloody big things going very fast. Tomorrow is a rest day (yeah say my legs). So I'll be doing just that, as certainly riding 1200kms over 8 days is a lot. 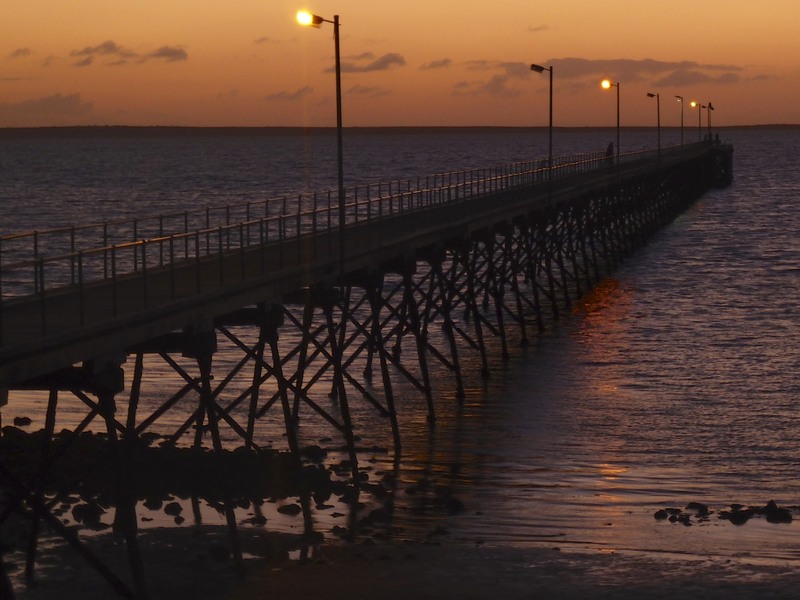 After my rest day I'll be heading south down the Eyre Peninsula to Port Lincoln.